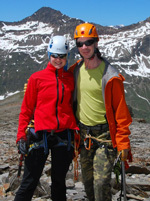 Sandra and Markus are two souls of symmetry on a common mission: to experience and explore the wonders of nature, from the depths of oceans to high summits. However, just as important are those special moments of every-day life. Our memorable moments are captured in photograpy by Markus and in stories by Sandra, for ourselves and for fellow passengers in life to take part of, relive, and remember.